His Castlevania series on Netflix hasn’t even premiered yet, but that show already looks like it’s heralding a return to legitimacy for copyright-flaunting producer Adi Shankar—who was one of the people behind unsanctioned shorts like The Punisher: Dirty Laundry, Venom: Truth In Journalism, and Power/Rangers. Now, having proven that he can produce an adaptation that actually does have the approval of whoever owns the rights, more people are lining up to let Shankar adapt their stuff. 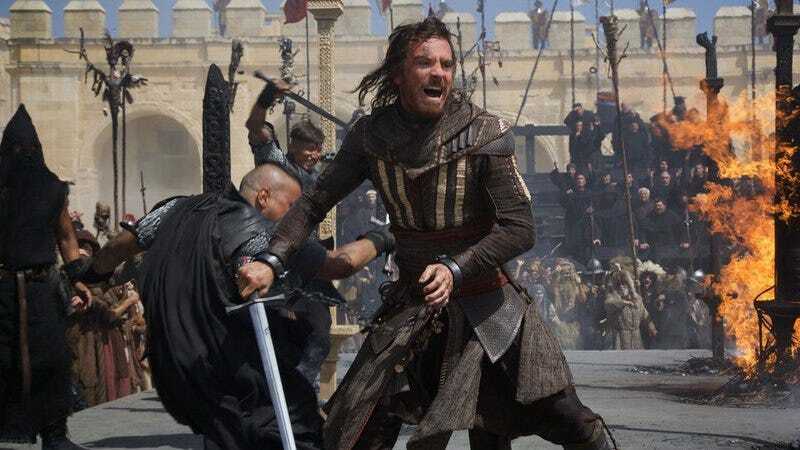 Dedicated Assassin’s Creed fans may notice that Shankar’s message doesn’t acknowledge the recent Assassin’s Creed movie that even Michael Fassbender has probably forgotten about, but it doesn’t take someone with experience hunting down hundreds of hidden feathers in a digital recreation of some famous city to figure out that the Fassbender movie probably won’t be connected to this in any way. After all, the story of the Assassin’s Creed games is loose and weird enough that pretty much anyone can come along and slot their own entry into the canon without breaking anything. Shankar should just make sure he doesn’t waste any time with a storyline about assassinating the Pope, because the games already did that.